Once the chilly, frosty weather of late October blows in, it’s time to say goodbye to the vegetable garden. Over the past few months, this little 3 x 10 foot plot provided us (and a few sneaky chipmunks) with an abundance of delicious produce. Heirloom tomatoes, eggplant, radicchio, purple carrots, and bok choy, just to name a few. Little garden, you will be missed this winter. My last harvest of the season yielded a few straggler sungold tomatoes, some habaneros, serranos, bell peppers, leeks, basil, and two lovely butternut squashes. So obviously, the first thing I did was to roast up some butternut squash in the oven. Because if there’s one thing I’ve learned about vegetables, it’s that roasting them is almost always a wonderful idea. And butternut squash is no exception. But as good as that roasted squash was, it was even better when I decided to throw it into a fall mishmash of wild rice, sage, and dried cranberries. In fact, it was pretty fantastic. What started out as a way to use up random ingredients from the cupboard ended up as the ultimate fall side dish. I just love when that happens, don’t you? My CSA provided me with the most wonderfully fragrant celery I’ve ever encountered - nothing like the kind you get at the grocery store. The leaves (yes, it had big, green leaves!) were so fresh and tasty, I just had to use them in this dish. If you have access to amazing celery like this, either from your CSA or the farmer’s market, definitely use the leaves here. If not, don’t worry, it will still be tasty. I also imagine that using dried tart cherries in place of cranberries would be pretty fantastic here as well. 2. 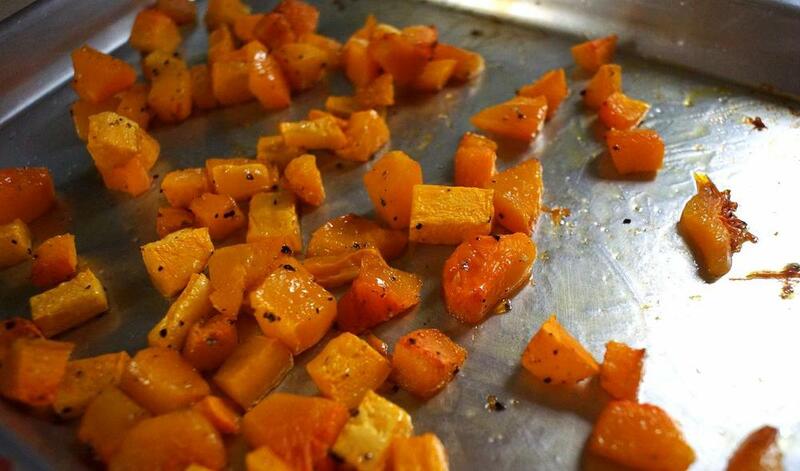 Mix squash, olive oil, salt, and pepper until squash is evenly coated. 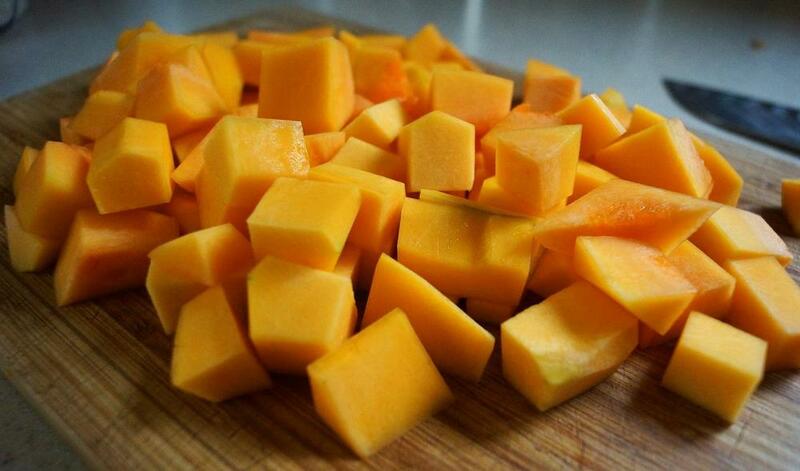 Spread on a baking sheet and bake until squash is roasted and tender, about 30-40 minutes. 3. Heat butter in a pan over medium heat. Once melted, add the celery, carrot, and onion and cook until softened, about 6-8 minutes. 4. Add the sage, cooked wild rice, and broth to the pan. Cook until the liquid from the broth is absorbed, about 5-6 minutes. 5. Stir in the roasted squash and dried cranberries. Season to taste with salt and pepper. Garnish with fresh celery leaves if desired, and serve immediately. *To cook wild rice, combine 1 cup dried rice with 3 cups broth or water and ½ tsp salt in a saucepan. Bring to a boil, reduce heat to low, and simmer, covered until rice is tender, about 45-60 minutes. Yes, that’s a long time, but totally worth it. If you plan ahead, you can make the rice the night before, and it will be all ready for you at a moment’s notice.